As international immigration policies continue to evolve, managing outbound immigration becomes increasingly complex. Demand for work authorization outside the U.S., however, has not decreased in 2018, despite a trend toward tougher international immigration policies. 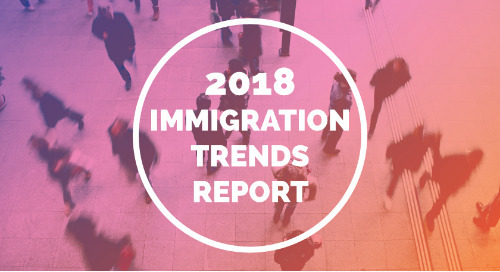 Envoy’s 2018 Immigration Trends Report uncovered several trends among employers in their responses to questions about managing talent in a dynamic global economy. This year, 59 percent of employers still expect their company’s demand for global outbound immigration to increase. Companies have already seen an increase in demand for work outside the U.S. this past year. More employers are facing challenges globally as well. This year, the number of companies facing global immigration challenges jumped to 81 percent. These findings highlight the need to enhance the effectiveness of immigration management as processes become more complex. Download the 2019 Immigration Trends report to help build, implement and scale a global mobility program that attracts and retains top talent. 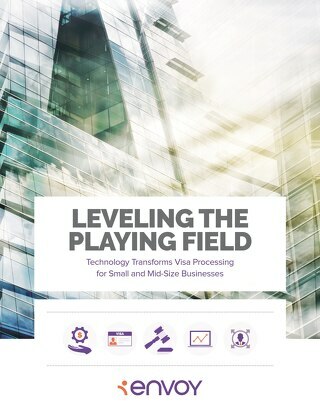 To help the business compete, HR needs to modernize its processes with self-service mobility solution tools to allow foreign workers to know where they stand in the visa process. 2017 was a year of change. The U.S. and the world saw significant shifts in immigration policy and practice, which translated to new challenges for employers. 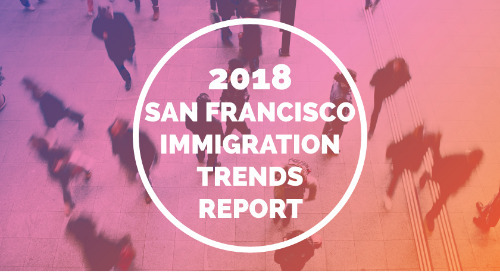 In our 2018 San Francisco Immigration Trends Report, we found that major shifts in policy and practice in U.S. and global immigration have created new challenges for employers in San Francisco. To find out more about how organizations are faring with this ever-changing challenge, BLR® teamed with Envoy to conduct the first Changing Landscape of Immigration Management Report. The talent gap is growing – discover how to stay competitive with new immigration technology that can help you process cases efficiently, manage budgets and forecast, and remain compliant. The skills gap. It impacts companies big and small, stymieing recruitment, stretching resources thin, impeding growth and eating away at the bottom line. As the demand for talent surpasses supply, seventy-seven percent of employers believe that having a global workforce is extremely important to filling the increasing skills gap. 236,000 H-1B applications were filed in 2016, but only 85,000 visas were actually were awarded. This study covers alternatives to the H-1B visa. Employers are embroiled in an intense global battle for talent and demand for high-skilled labor is growing faster than the supply. In the war for talent, truly understanding your candidates’ wants and needs is critical to attracting and retaining them. What are your talent competitors offering in their immigration-related perk packages? When do STEM companies provide green card sponsorship? Learn the answers to these questions and more. 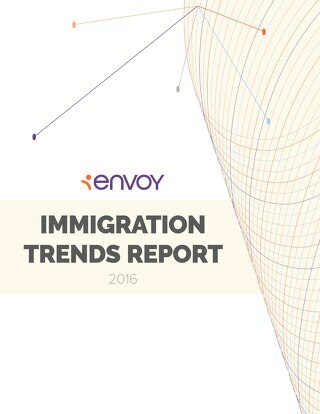 Based on findings from a nationwide survey of more than 400 employers, the Envoy Immigration Trends 2016 report uncovers the latest trends in hiring top global talent.